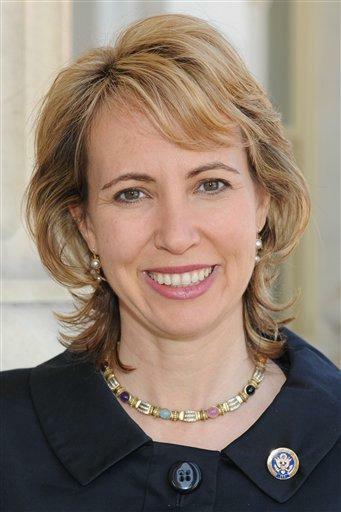 HOUSTON (AP) - Rep. Gabrielle Giffords is able to speak: She asked for toast at breakfast one recent morning. Her ability to say even just a word, a month after being shot in the head, pleased her family, friends and doctors. It may also provide valuable clues about the condition of her injured brain. "We're elated at this," said her spokesman C.J. Karamargin, who added that she is speaking "more and more." "We always knew Gabby is a fighter and that she's not going to let this thing win. And you know, every day is proof of that." Few details have emerged about her recovery since she began intensive rehabilitation at TIRR Memorial Hermann hospital late last month. But doctors not involved in her care said her simple request for toast could indicate higher level cognition. The lawmaker was apparently asking for something in an appropriate context, said Dr. Richard Riggs, chair of physical medicine and rehabilitation at Cedars-Sinai Medical Center in Los Angeles. "It was a desire. It was a want. It was something that would be preferable rather than just a basic need," Riggs said. "It was encouraging. I was very excited to see it . and the fact that it was an appropriate context gives it more meaning." Brain injury patients who regain speech typically begin to do so about four to six weeks after the incident, Riggs said. "We're beginning to see what her true abilities will be," he said. "We'll also see her impairments." Doctors said in late January that they planned to insert a speaking valve into her tracheostomy - a tube inserted into Giffords' throat to assist her breathing immediately after the shooting in Tucson, Ariz. Her doctors have not said whether that procedure took place or whether the tube was removed since she no longer needs it. Other news organizations, including Politico, earlier reported that Giffords had asked for toast and was able to speak. Riggs said some patients can speak despite the tube. It would not necessarily have to be removed or have a valve inserted to make speech possible, he said. Since Riggs has not seen or treated Giffords, he could not say how her speech might develop and progress. Depending on the extent of the injury, its position in the brain and the patient, that can vary greatly, he said. "That's what's so mysterious and great about this, because she is recovering and no one can really give you the goal line and when it will be finished because it's really unknown," Riggs said. At this stage of recovery, it is unlikely that Giffords would be able to say more than one to two words at a time, said Katherine Sullivan, president of the neurology section of the American Physical Therapy Association. In rehabilitation, a patient would progress from saying one word, to possibly a few and finally to a full sentence, said Sullivan, also a neuroscientist at the University of Southern California. "So it might be one word, 'toast,'" in this case, Sullivan said. The bullet pierced the left hemisphere of Giffords' brain, Sullivan noted, the side that is associated with language, which includes three crucial elements: hearing, comprehending and responding. All three are needed for communication and, based on the reports, Giffords can do this, Sullivan said. "There's nothing surprising about the plasticity of the brain especially in a young healthy person and that's the good news," Sullivan said. "I have seen the most miraculous things so I can't say I'm surprised. "I can say she has a long road left on her recovery because of the very serious injury," she said. Arizona state Sen. Ken Cheuvront, a friend of Giffords who shared a house with her and another lawmaker when they served together in the Legislature, said he was excited to hear that she can speak. "It gives all of us a lot of hope that she'll have a full recovery," Cheuvront said. Six people, including a 9-year-old girl and a federal judge, were killed in the attack outside a grocery store where Giffords was meeting with constituents. Thirteen people, including Giffords, were injured. The FBI and the Pima County Sheriff's Office have finished their investigations into the shooting. The 22-year-old man accused in the shooting, Jared Loughner, has pleaded not guilty to federal charges of trying to assassinate Giffords and kill two of her aides.